Spleen and Ideal is the second studio album from Dead Can Dance. 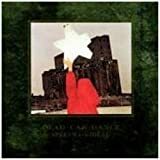 Spleen and Ideal is the first Dead Can Dance album where we get to hear the sound that they would play for the rest of their career with a few changes along the way. The seft-titled debut album is very much in goth rock/ new wave territory while Spleen and Ideal in large has moved away from that style. The music has taken a turn towards a more ethnic approach since the goth rock debut. Atmospheric landscapes and ambient sounds are combined with Lisa Gerrard´s virtuosic vocals which most of the time is middle eastern tinged and very impressive. Brendan Perry´s vocals are more in the goth rock tradition and a couple of the songs are also in this style even though both Cardinal Sin and Advent are much more accomplished than the songs on the debut. My favorites here are Mesmerism, Advent and especially the Brendan Perry sung Enigma of the Absolute which points towards the sound that Dead Can Dance would have on albums like Serpent´s Egg and Aion. The musicianship is excellent and it´s a real treat to listen to both Lisa Gerrad´s and Brendan Perry´s vocal contributions. There are lots of guest musicians on instruments like Violin, trombone, tympani and cello and those instruments add an organic feel to the songs which would become a trademark in Dead Can Dance sound. The production is good but not as impressive as the productions on later releases. For 1985 this is a good production though. 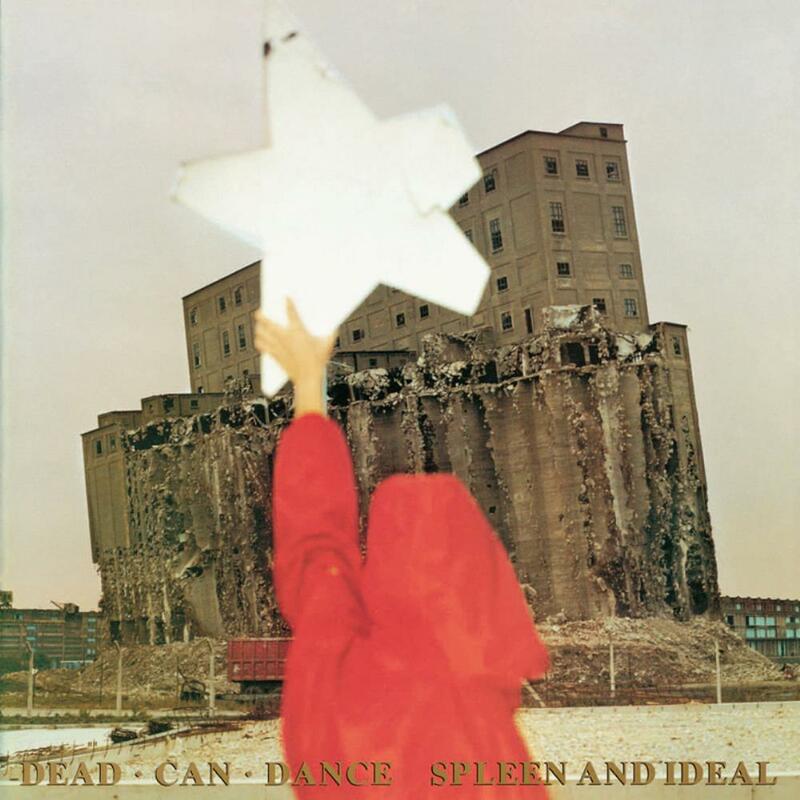 Spleen and Ideal is not my favorite Dead Can Dance album ( I even prefer the debut over this one). It´s probably my least favoured come to think of it, but as their general standard is so high it´s still a good album and well deserving 3 stars. Released in 1988, "Spleen and Ideal" (a title taken from one of Charles Baudelaire's "Flowers of Evil" poems) marks a definite change of direction for the Australian duo of Lisa Gerrard and Brendan Perry, a brisk departure from the gothic rock stylings of their debut album. Here, as in the rest of their following output, the two main influences of the band - medieval and world music - come across very clearly, providing a perfect vehicle of expression for the magnificent vocals of Gerrard and Perry. The album's mood is haunting and rarefied, the voices emoting across a background of deeply resounding instrumentation (cello, trombone and timpani feature heavily, as well as electronic percussion and keyboards). 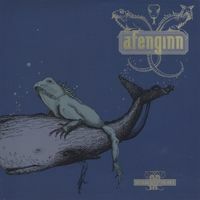 If compared to its follow-up, "Within the Realm of the Dying Sun", "Spleen and Ideal" is much more vocal-oriented, with duties split equally between the two main band members. The album opens with aptly-titled, solemn "De Profundis (From the Depths of Sorrow), backed by a male choir that reinforces the impression of listening to a religious chant. Then, after another couple of tracks with an almost 'classical' feel, little percussion and slow pacing, things pick up with "The Cardinal Sin", masterfully interpreted by Perry over a bolero-style percussion pattern. Perry is also the star of "Enigma of the Absolute", led by strings and tolling, bell-like sounds, and closing track "Indoctrination (A Design for Living). "Mesmerism" and "Avatar", both sung by Gerrard, feature electronic drums, which add a note of cold precision to the mystical warmth of the singer's voice. Although vocal duties may be shared, I find "Spleen and Ideal" to be much more Perry's album than Gerrard's. The central section of the album sees him as the undisputed protagonist, in the above-mentioned songs and also in the mid-paced "Advent". As much as I love Perry's voice, this predominance gives the record a vaguely samey feel, abetted by the use of electronic drums in a series of consecutive tracks. Unlike the band's later output, this is very much an album of songs, which may well put off those who, for some reason or another, object to Perry's goth-tinged singing style. Indeed, with the exception of the first two or three tracks, it could almost be said that the music takes a back seat to the vocals. In spite of these shortcomings, "Spleen and Ideal" is a very enjoyable effort, though not as mature and well-rounded as the likes of "Aion" and "The Serpent's Egg". 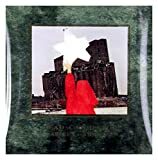 As I have already stated in my review of "Within the Realm of the Dying Sun", the progressive side of Dead Can Dance's early albums is not as evident as in the later ones, and the frequent use of electronic drums can suggest a kinship to those synth-led musical styles so popular in the Eighties. 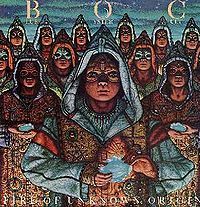 On the other hand, the sheer quality of the music and the pure magic woven by those two incredible voices would be enough to convince me to recommend this album to discerning prog fans, and give it a well-deserved, solid three-star rating. After the enjoyable gothic new wave debut, Dead Can Dance choose to take another road that would take them to the most heavenly music ever done by a 'pop' artist. This album is the first tentative step in this new direction. The result is a mixed bag. There are some weaker tracks and Brendan Perry's vocals are still very rooted in the gothic style. By consequence the album fails to reach the vocal virtuosity and sparkling intensity of the two following masterpieces. So, only considering the album's quality, it's a bit of a letdown compared to the remarkable debut. On the other hand it was a first step into a more mature style that would step far outside the boundaries of pop music. I must admit that this style of music suits me perfectly. Tons of atmosphere and even the vocals contribute to this often dark ocean of slow moving sounds. I am impressed that "Spleen And Ideal" their second album was released in 1985. I've heard about this Australian band for years, mostly from other bands who say how influencial DEAD CAN DANCE have been to them. Lots of trombone on this one as well. "De Profundis (Out Of The Depths Of Sorrow)" is powerful with the choir-like intro.The atmosphere just seem to vibrate and dominate as Lisa comes in vocally a minute in almost crying out. Male vocals chant before 3 1/2 minutes. A very epic and dramatic track. "Ascension" opens with trombone and lots of atmosphere. Check out the way the sound builds before 2 minutes when the trombones stop.This is like drowning in a sea of sound. So impressive. "Circumradiant Dawn" opens with sounds that rise and fall as female vocals come in around a minute. "The Cardinal Sin" is the first track that has a beat. Trombone and male vocals too. Piano after 2 minutes. "Mesmerism" is more uptempo with drums as female vocals join in. Deep sounds 1 1/2 minutes in. Intense track. "Enigma Of The Absolute" opens with relaxed guitar as drums come booming in followed by male vocals. Again so much atmosphere. 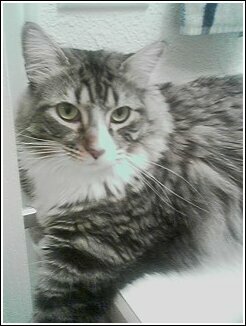 Cello after 2 minutes. "Advent" is my favourite tune on here. Just a great sound with male vocals. Trombone as usual in this song that I simply get lost in. I really like the lyrics too. "Avatar" is almost as good. Powerful with female vocals. I thought of Anneke when I first heard Lisa sing on this song. How moving is this ? Trombone 3 minutes in. "Indoctrination (A Design For Living)" is led by drums and atmosphere as male vocals join in. This is hypnotic stuff. This album finishes strongly. I just can't give anything less than 4 stars for this influencial album. This (second) band's album lays somewhere in the middle of the gothic-electro- pop of their debut and their much les commercial and more original works. Still too song oriented, with too much Brendan Perry vocals ( Lisa Gerard's voice is never too much). They are on the search of their final style, it is obviously. So, I can say that this album is only partially good ( and this part is their future dark ambient sound). Their gothic roots are weak album's part, and because the proportion is around 50/50, the album is 50% good for listening. I prefer later works ( whenever I like their music in general, but I'm not their heavy fan). For fans this album still good enough, for usual listener - better to start from one of a few next albums. A mightily powerful and entirely memorable second outing from Dead Can Dance in '86, with a massive change in sound and style from their first album in '84. Huge reverb is used throughout the 'Scott Walker' like vocals of Brendan Perry making this a very atmospheric recording indeed. Beautiful downbeat and original tunes in the most Gothic of ways pretty much sums up this dark masterpiece. The incredibly powerful voice of Lisa Gerard on one half complements the 'High Priest' Brendan Perry on the other, creating a gloomy religious undertone to everything that occurs. Some listeners might find Lisa Gerard's vocal performance very similar in style to the 'Trio Bulgarka' - which should be no surprise considering Peter Murphy of 'Bauhaus' fame introduced said group to the record label 4AD in the early 80's. With lyrics based on the writings of Charles Baudelaire, this is one of my all time favourite records. I unhesitatingly give this five stars. Everything is drenched in reverb creating an eerie atmosphere throughout this astonishing album. Double bass, Cellos, Timpani drums, balalaika, gloomy keyboards and most of importantly of all - the incredible vocals. This truly is the blackest of albums. To the uninitiated it may sound a bit 'Gregorian Chants'. Deliberately, Perry and Gerard never sing on the same tune on this recording - they're voices are so disparate and contrasting that they wisely kept them separate. Dead Can Dance were starting to figure themselves out by this point, branching out from their gothic pop/rock roots to explore classical approaches to compositions and utilize more instrumentation not usually associated with the "Goth" genre. The arrangement of the songs is a bit odd, considering that this album opens with three Lisa Gerrard tunes in a row that carry a similar vibe. They are quite nice and atmospheric, but to be honest, Lisa hadn't quite hit her true range and seemed to be in the development stages of her vocal skills. Yes, compared to most other vocalists in the Goth and art-rock world at the time, she crushes them talent-wise, but hearing the Dead Can Dance albums released after this one proves that she would soon be getting much better; in fact she would eventually become a major global force and the eventual go-to voice for haunting major film scores. Brendan Perry arrives to sing lead in Cardinal Sin, which has a pretty nice melody, but doesn't really stick in the head too long. The electronic drum beats sound rather cute in a dated sort of way. Other notable tracks include Mesmerism, which is a very Eastern-tinged gothic track sung by Lisa in which she actually sings some English lines (would wouldn't happen again for a few albums), and Indoctrination (A Design for Living), which at one point morphs into this jazzy swing track but with the heavy reverb and atmosphere consuming the rest of the album. The production of this effort is ok but still a bit unpolished and slightly murky. This issue would be removed for their next album. One other track that needs to be noted is Enigma of the Absolute, which I consider the best song within this album. Monstrous tympanis carry the beat like a stomping monstrosity approaching a sleeping village. The chiming melodies and use of occasional cellos add to the avant garde qualities of this piece, while Brendan delivers strong and haunting vocals. It's a hell of a good song, and would not have been out of place on either of Dead Can Dance's next two albums. This album is interesting for being an obvious bridge between their pure gothic rock material and more classically infused dark and dreamy late 80s era, so for fans of the Goth scene and avant garde 80s music, this is pretty much an important document and worth a purchase, but for those interested in discovering the pre-world beat styles concerning this group, I would steer them to a couple of their later albums first, most notably Within The Realms... or Serpent's Egg. The cold wave tendencies of their debut have been tempered somewhat, but this still sounds like the sort of music dead people might make love to. That is, as long as I am living I'm not likely to take too much interest. Unfortunately, while the prior album's strongest aspects were in the ambient realm, and "Spleen and Ideal" gravitates even more to that corner, DCD has failed to improve on the formula. Perhaps it was a case of looking good by comparison only. 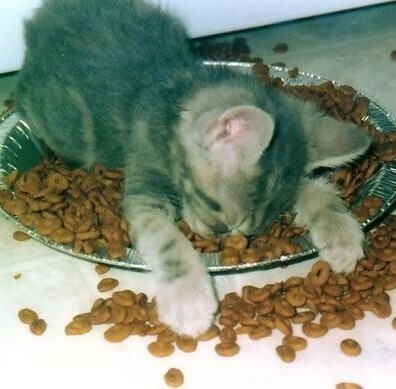 I am not venting my spleen or spewing bile, but admit to lacking the intestinal fortitude to abide "Spleen and Ideal" any further. The second Dead Can Dance album sees the band steering away from conventional gothic rock and deeper into the ethereal, esoteric realms only hinted at in the earlier album. In general, I tend to prefer the tracks showcasing Lisa Gerrard as opposed to Brendon Perry's, mainly because her Cocteau Twins-esque wailing seems more suited to the music in question. The album is particularly notable for the new and varied instruments working their way into the band's music, bringing out the chamber music and medieval influences in their sound. On the whole, it's another confident step along their musical development which will be of interest both to fans of their late career and to people arriving at the band's music through their association with the gothic scene. Now, Dead Can Dance has decided to make it their mission to bring old world music to life in the current age. The first album and EP were both goth rock with a very dark feel, yet ambitions were evident throughout these albums. Gerrard and Perry decide with their 2nd full length album to establish their signature sound that they would expand on throughout their career. They start us on their musical journey with "De Profundus" which is a prelude to their sound. Gerrard leads this with her amazing vocals and the bombastic sound of the music makes us feel we are preparing for some enormous event. This is progressive at it's best and most inventive. We are taken unashamedly into a new (or old) realm that is completely their own. The 2nd track "Ascension" is mostly instrumental and follows in the same vein as the first track, building suspense and atmosphere. Next comes "Circumradient Dawn" which has beautiful vocals from Gerrard again. For the first time, we can really hear what she can do with her voice. It doesn't matter whether we can understand her words, her voice is at the forefront and not buried so much in layers of goth instrumentals. I only wish this track was longer and more developed, but it's amazing just to hear what we hear. Next Perry takes the lead vocals with English lyrics and we hear for the first time his voice at the forefront, not buried in layers of instruments. He sounds like Jim Morrison but with more finesse and less bombastic. Another excellent track. Now we know what we are dealing with, creativity and originality, and that is we can expect for the rest of our journey with Dead Can Dance throughout their albums. Old world music with old world instruments and new world programming. It works well. As the album continues, you will notice that no longer do we have a wall of sound as we did in the previous albums but everything is so much more textured. You don't have to pay so much attention to hear everything that is going on in the music because it is all there to listen to, but you will still want to pay attention and soak in every sound that is being made here. The music still retains that dark tone yet it is uplifting in it's own way. Now the production has texture. It no longer feels like you are running up against a brick wall, but that all the instruments and sounds are distinct. Even then, every time you listen to this, you will hear new things. "Advent" stands out among these tracks with a nice percussive and bass line. Perry's vocals are at times dissonant clashing with the instruments on purpose only to bring the melody back into focus. He maneuvers his voice around the atmospheric background with finesse so that you know the dissonance is there for a reason. In "Avatar", Gerrard gives us a taste of her amazing middle Eastern sounding vocals with her acrobatic pitch changes and her controlled warbling. Again, the instrumentals highlight the vocals and also bring the song to a climax making this song feel a lot more developed. If you listen closely you can hear just how elaborate the instrumentals are even if they are only providing the backbone for the song, a foreshadowing of how their music will develop later on. This album focuses more on the vocal talents of Gerrard and Perry. Even though the instrumentals are interesting and excellently played, they serve for creating the atmosphere of the music and for backing up the vocals. More instrumental exploration will follow in later recordings. One shortcoming of this album is that most of the songs seem underdeveloped, except for "Avatar" which is a very satisfying track. Further exploration will remedy this problem in later recordings. Overall however, this is an excellent album and prog lovers should give this one a lot of attention. 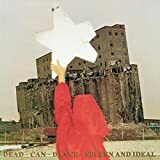 Post a review of DEAD CAN DANCE "Spleen And Ideal"